Channel incision is a widespread phenomenon throughout the dry interior Columbia River basin and other semi-arid regions of the world, which degrades stream habitat by fundamentally altering natural ecological, geomorphological and hydrological processes. We examined the extent of localized aggradation behind beaver dams on an incised stream in the interior Columbia River basin to assess the potential for using beaver, Castor canadensis, dams to restore such channels, and the effect of the aggradation on riparian habitat. We estimated aggradation rates behind 13 beaver dams between 1 and 6 years old on Bridge Creek, a tributary to the John Day River in eastern Oregon. Vertical aggradation rates are initially rapid, as high as 0·47 m yr-1, as the entrenched channel fills, then level off to 0·075 m yr-1 by year six, as the sediment begins accumulating on adjacent terraces. We found that a 0·5 m elevation contour above the stream channel approximately coincided with the extent of new riparian vegetation establishment. Therefore, we compared the area surrounding reaches upstream of beaver dams that were within 0·5 m elevation of the stream channel with adjacent reaches where no dams existed. 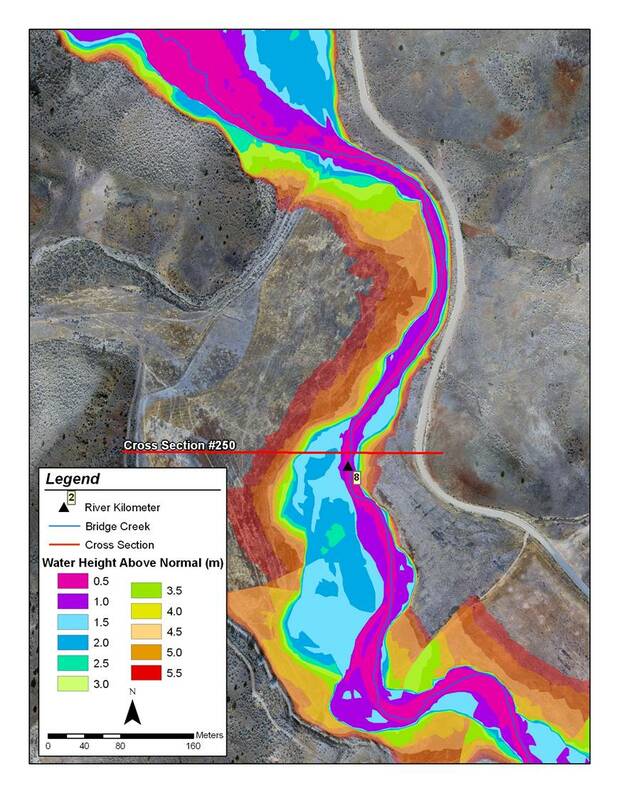 We found that there was five times more area within 0·5 m elevation of the channel upstream of beaver dams, presumably because sediment accumulation had aggraded the channel. Our results suggest that restoration strategies that encourage the recolonization of streams by beaver can rapidly expand riparian habitat along incised streams. Copyright © 2007 John Wiley & Sons, Ltd.